19 in a row for No. 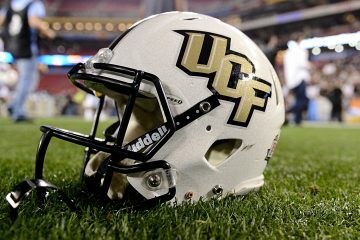 10 UCF? No problem for the Knights, whom we’re looking to extend the nation’s longest winning streak to 19 games. 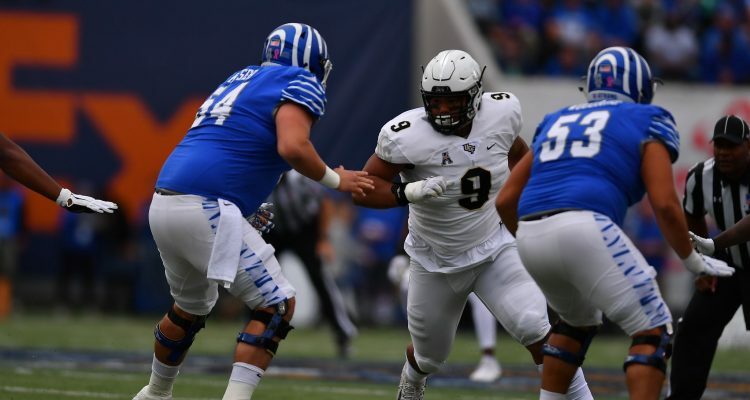 UCF, down 30-17 at one point in the second half, came from behind to defeat Memphis (4-3) 31-30 at Liberty Bowl Memorial Saturday afternoon. With the victory, the Knights improved to 6-0 on the season and continue their march towards potentially another undefeated regular season. UCF (6-0), coming off a 48-20 win against SMU last week, relied upon the stellar play of Heisman Trophy candidate McKenzie Milton, who threw for a game-high 296 yards and a touchdown. Though Milton wasn’t as effective with his legs running the ball, his big throws down the stretch helped vault UCF to 6-0. After a 43-yard field goal by Memphis’ Riley Patterson, the Knights answered with a score of its own when running back Taj McGowan scored on a two-yard touchdown run with 7:52 left in the opening quarter. The Tigers’ running game was the difference in the first half, as tailback Darrell Henderson gashed the Knights’ defense for 199 yards on 31 carries. Henderson’s lone touchdown run would come at the end of the opening quarter, as the running back punched it in from 25 yards out to put the Tigers up 17-7. Memphis extended its lead to 20-7 on a Patterson 45-yard field goal. 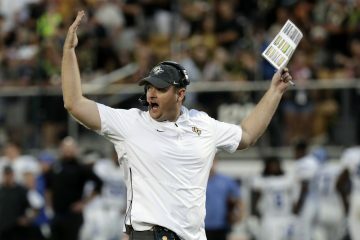 The Knights came up with an answer not too long later in the second period, when Milton hooked up with wide receiver Gabriel Davis on a 75-yard touchdown. Things were looking bleak for No. 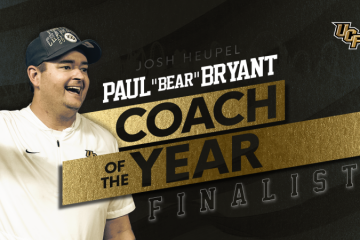 10 UCF when Memphis took a 30-17 lead heading into halftime. The second half belonged to the Knights’ defense and clutch playmaking by Milton and crew. The Tigers were held to without a score in the latter half of play and the Knights scored touchdowns in the third and fourth quarters. McGowan scored on a 71-yard run during the third period and Milton notched the go-ahead touchdown, a 7-yard run.